OAT 2017: Reading Comprehension Section! This is Part 3 of a series of breakdown posts that will outline the OAT 2017! Let’s dive into the Reading Comprehension section, which is the second longest section of the test, both in time and in number of questions! Reading Comprehension is the second section of the OAT 2017! There are 3 passages with 50 questions and it’s 60 minutes long. While this section does not require specific prior scientific knowledge, OAT 2017 is testing how well you can comprehend and analyze the dense scientific information (quickly). The passages are science-based written like articles and all the information needed will be in the passage. Some student say the reading comp section is the hardest to study for, since you just read the passage and answer questions the day of the exam so how do you prepare? Practice! These are long and densely scientific passages and being able to read and breakdown them down efficiently is a skill you can hone! Possibly the most difficult part of the reading comp section is the limitation on time so in your preparation utilize time restraints! With the time allotted of 60 minutes, you should be spending about 20 minutes on each passage. But then of course you gotta keep in mind that not all the passage are the same length too! Applying to Optometry School: OptomCAS 2018 is OPEN! As of June 28th the OptomCAS 2018 is officially open! The time has arrived. So you’ve been working to keep up that GPA, right? Got gleaming OAT scores? How about all that extra stuff like volunteer work, research projects, and extracurriculars? Well now it’s time to lay it all on the line! The Association of Schools and Colleges of Optometry (ASCO) uses the Optometry Centralized Application Service (OptomCAS) as the general web-based application to submit applications to the all optometry schools in the U.S. and the application for the 2018 cycle has just opened! Firstly you’ll create an OptomCAS 2018 application account here. This is where you will login, save, edit, and eventually submit your application(s). Check out the full OptomCAS 2018 instructions here. The application is dense and filling it out all the required information is a task not to be taken lightly. Take your time to insure all the detailed information is correct. 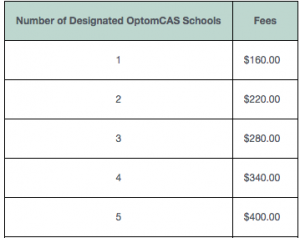 The total application cost truly lies in the number of optometry programs you apply to. Upon completely the OptomCAS the fee is $170 and it includes submission to one dental school then it’s an additional $70 for each additional school. The application process as a whole can quickly become expensive with the cost of taking the OAT, completely the OptomCAS, then individual schools secondary application fees, traveling to interviews, etc. so you really want to do your research and narrow down the programs you really want to apply to! Now just because the application is open until March 1st doesn’t mean OptomCAS 2018 goes on the back burner. It is highly suggested by literally everyone (schools, advisors, OAT Cracker, and me) that you get your completed application in during the summer time! Keep in mind you’ll need to meet specific optometry program deadlines that you are applying to. This means you must not only complete and submit the OptomCAS 2018 by those deadlines but also be sure to get in transcripts, letters of recommendation, and any secondary application fees specific schools may require as well. Some optometry schools offer admittance on a rolling basis so basically apply asap! Here at OAT Cracker we like to keep you in the loop and make this process of getting into optometry school as painless as possible. So stay tuned in! With all the expense and stress of applying to optometry school, save yourself some trouble and check out OAT Cracker for you OAT prep and check out this blog for more topics on the application process like Personal Statement Writing, Getting Letters of Recommendations and prepping for The Interview! This is Part 2 of a series of breakdown posts that will outline the OAT 2017! Ready? On the menu today: The Survey of Natural Sciences, which is the longest section of the test, both in time and in number of questions! there are 100 questions, and you have 90 minutes. 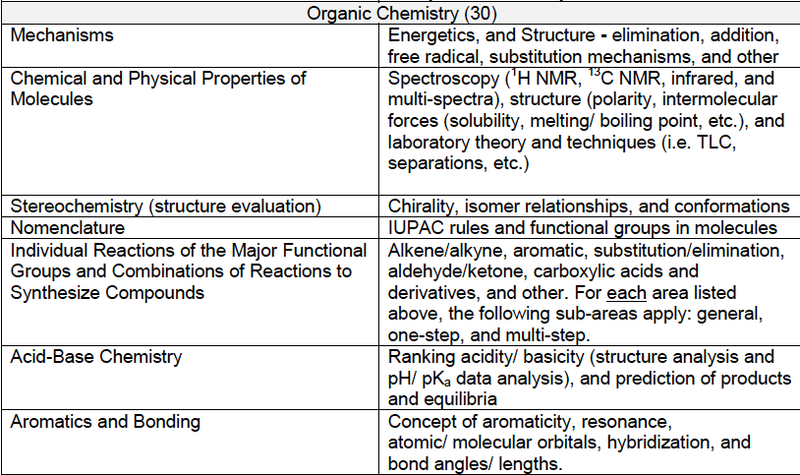 Within the section, there are 3 sciences tested: Biology (40 questions), General Chemistry aka Inorganic Chemistry (30 questions), and Organic Chemistry (30 questions). 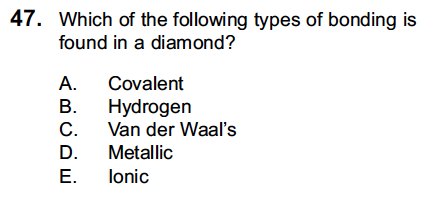 The content of these questions is limited to the things you learned in your entire first-year course in biology, general/inorganic chemistry course, and the organic chemistry class. 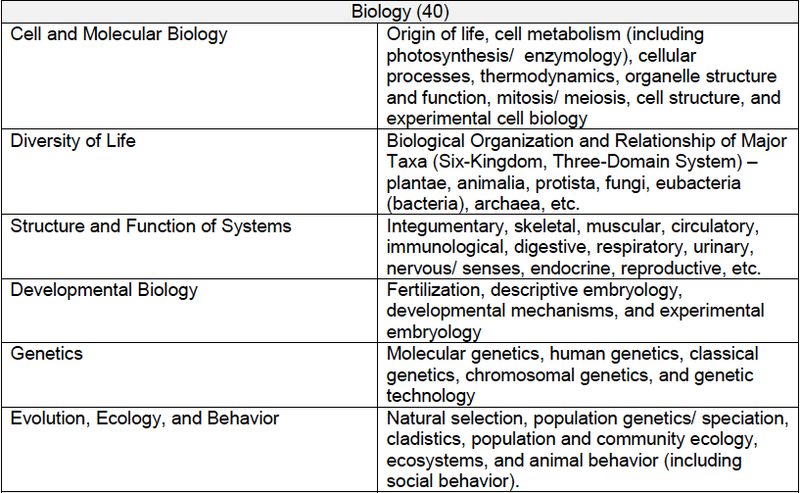 Basically this means no upper level concepts beyond what you saw in those courses. The Survey of Natural Sciences is first big hump in your OAT day adventure and it’s a doozy. The key is perfecting your time management to keep you calm so you can focus on the questions and not worry about running out of time. 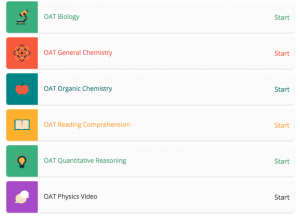 Practice and ace it with OAT Cracker, where you can take practice tests in each section with questions that look and feel like the real thing! Stay tuned for further breakdowns! OAT 2017: Introduction Guide to the Optometry Admission Test! This is Part 1 of a series of breakdown posts that will outline the OAT 2017! We’ve actually done a series like this before but the test has gone through some changes and here at OAT Cracker we like to keep you updated to make sure test day is the best day! First of all we’ll focus on the specifics of the OAT itself and then in upcoming posts we will discuss each of the sections in detail individually. The Optometry Admission Test is designed by the Association of Schools and Colleges of Optometry (ASCO) to assess your readiness for optometry school and is used by all U.S. programs in the application process as a factor in their decision. 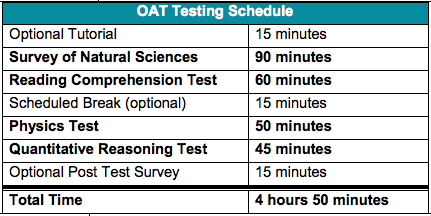 The OAT 2017 is a monstrous marathon of an exam with a wide scope of testing topics and clocking in at nearly 5 hours! First thing is first you’ll need an OAT PIN (Personal Identification Number) for authentication for all Optometry Admission Test applications and official score report requests. Before you can even apply to take the OAT, you must obtain a PIN aka an OATPIN. Important: If you have ever taken the OAT before a PIN may have already been assigned to you and you can retrieve it here. If you are a brand new to the OAT entirely you can register for a PIN here. *Notice: The test fee changes as of July 1,2017 are now updated in this post! Once your OAT application is approved you’ll receive email confirmation and only then can you schedule your test with Prometric. You can take the test year-round at Prometric Test Centers in your area. 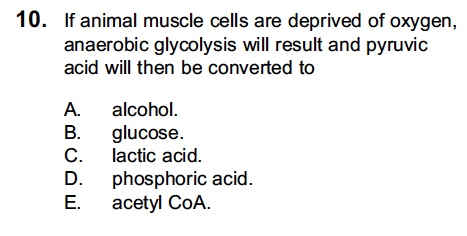 Prometric administers quite a few different computer-based tests like the OAT, GRE, MCAT, etc. 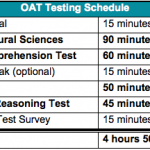 and depending on the size of test centers, the day you wish to take the OAT can fill up so schedule ASAP! How long is the OAT? If you really need an additional break the timer on your test will not stop therefore try your best not! With proper practice practice practice and a goodnight’s sleep you can handle no extra breaks in your OAT 2017 test day no problem. The test center will provide two note boards and two fine tip markers to use during the test. Scratch paper, pencils, or markers that have not been provided by the testing center are prohibited. The note boards cannot be used as measuring devices and cannot be folded, bent, distorted, or mutilated in any way and you can’t touch the monitor during testing with the boards. All items must be returned to the test administrator before leaving the test center. We outlined the OAT Scores on the blog before so check it out! Your scores are based on the number of correct responses, which means you’re not penalized for guessing so that means don’t leave any question blank! You will get an unofficial score as soon as you finish the test and official scores are available about 3 weeks later. OAT scores on made on a scale from 200-400 so there’s no passing or failing. Some schools require a specific score for competitive consideration so be sure to check with them and aim high! We will keep you updated and in the loop with any other future OAT 2017 changes. That’s all for now! Get out there, study up, and PRACTICE, PRACTICE, PRACTICE! Career Spotlight: Vision Therapy & Rehabilitation! Welcome to another installment of Career Spotlight, where we showcase and explore different specializations, career settings, technological advances, and more in the exciting world of optometry! Vision therapy and rehabilitation refers to the therapeutic practices used by eye care professionals focusing on improving functional abilities and quality of life for people who have a loss in visual function. You can think of vision rehab like physical therapy for an injury but for just eyes! According to the Association of Schools and Colleges of Optometry (ASCO) the majority of the clinical and didactic curricula will be devoted to topics and practice relevant to dysfunctions of eye movement, accommodative, binocular and perceptual systems, reduced visual acuity, and compromised visual fields which are all pertinent in visual therapy. There are a variety of different approaches used throughout the field depending on specific patient circumstance including physical therapy techniques, neuro-rehabilitation activities, mediciation, and educational advocacy methods. There is a lot of exciting research being conducted to find new and innovating techniques in this exciting specialty including gene therapy! So there you have it a small look at the specialization of vision therapy and rehab! Stay tuned for more of OAT Cracker’s exploration into the nooks and crannies of the optometry world! Applying to Optometry School: OptomCAS 2017 is OPEN! As of June 29th the 2016 – 2017 cycle of the OptomCAS is officially open! If you are interested in going to optometry school next year, it is time to begin the application process! The Association of Schools and Colleges of Optometry (ASCO) uses the Optometry Centralized Application Service (OptomCAS) as the general web-based application to submit applications to the all optometry schools in the U.S.
Keep in mind decision on admission comes completely from the schools and programs you are applying to and not from OptomCAS; they are only a service you submit your applications and transcripts through. Although the OptomCAS cycle is open from now until June 1, 2017 remember you’ll need to meet specific optometry program deadlines that you are applying to. This means you must not only complete and submit the OptomCAS by those deadlines but also be sure to get in transcripts, letters of recommendation, and any secondary applications specific schools may require as well. First you’ll to create an account with OptomCAS here. You’ll use you’re the username and password you create to login, save, edit, and submit your application(s). Be sure to read all instructions carefully and to proofread everything you are submitting because this is surely not a task to be taken lightly! 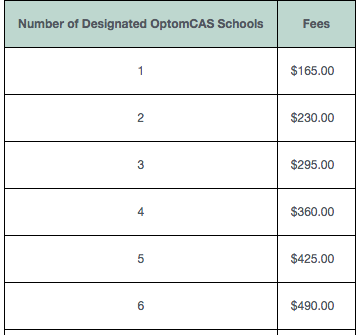 Completely the OptomCAS costs $165 and that includes submitting your application to one school. Then it is an additional $65 for each school you choose to send your application to after that. In addition, specific schools may include secondary applications resulting in secondary application fees. Plus considering possible expenses for traveling to different schools for visits and interviews, the whole application process can really add up so you’ll want to really do your research to narrow down the programs you want to apply to! 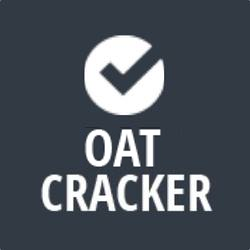 With all the expense and stress of applying to optometry school, save yourself some trouble and check out OAT Cracker for you OAT prep and stay tuned to the blog for more topics on the application process like Personal Statement Writing, Getting Letters and Recommendation and prepping for The Interview! That’s all for now! This is a BONUS addition to our series breaking down the Optometry Admissions Test. Be sure to check out the rest of the series on each section of the OAT in the blog! A while back in own OAT Breakdown: Introduction Guide to the OAT we briefly talked on the subject of the scoring the OAT but now it gets its very own breakdown post to cover it all! Do Not Leave A Question Unanswered! After you’ve exhausted 98% of the time allotted and the questions you do know are doubled checked, it’s time for educated best guesses! The OAT is scored on a scale of 200 – 400 thus the 50th percentile is at a score of 300. It’s difficult to pinpoint a standardized “good” score because in the application process many components are in play along with your OAT scores. Perhaps instead it’s wise to refer to the Association of Schools and Colleges of Optometry’s (ASCO) Profile of the 2015 Optometry Entering Class here in PDF form. 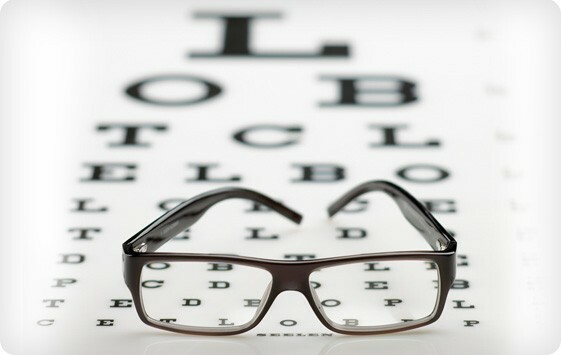 You can see the range of scores across the different optometry programs and decide based on all the information what a good score looks like for you specifically; accompanied by things like for example you GPA. Your OAT scores are only a part of the equation of your application. However according to OptomCAS data, schools consider the “OAT Influence” to be either “Significant” or “Moderate” so nobody’s dismissing scores altogether. If other portions of your application such as your GPA are very strong you can worry slightly less about not amazing OAT scores. For some perspective, the ASCO folks say the average GPA of the 2015 accepted and entering class of optometry students was 3.43 so if your scores hover around the median 300 I’d most definitely recommend a higher than average GPA. The earlier the better when applying with not-so-stellar OAT results. Some optometry programs accept applicants on a rolling basis (as they come in) so get in your apps early everyone and really definitely especially if you got lower scores. The blog already covered Retaking the OAT so if you’re contemplating a redo read up on what you need to know. The endurance and stamina needed just to get through test day is going to take some getting used to. 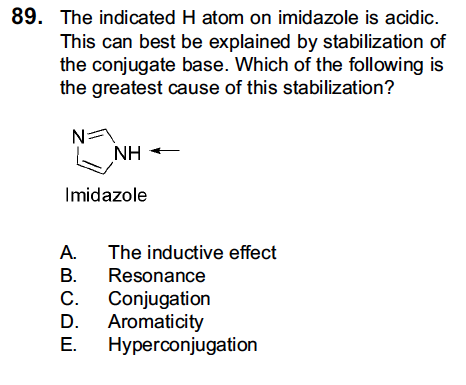 Practice tests like with OAT Cracker are not only helpful with in content tested but also in getting used to computer testing and exposing you to the time needed for your brain to last through the whole exam. There you have it folks. Go forth & PRACTICE! Hello all pre-optomers. We are bringing in the New Year with a new segment here on the blog, called Career Spotlight, where we showcase and explore different specializations, career settings, technological advances, and more in the exciting world of optometry! With your four years of optometry school you are crowned the title of an OD or Doctor of Optometry then beyond that you can do some residency time or even more school in order to specialize and hone your skills and knowledge in specifically the area of optometry you desire. For our first trick let’s talk… Pediatric Optometry! I thought this would be a good place to start with specializations since it’s still a broad population of patients you will see: children. Even though pediatric optometry refers to the treatment of the “pediatric population”, this actually covers a broad age range with widely varying needs, including all those between birth and 18 years of age. The early years of a child’s life is a critical time for vision development and monitoring. Despite the younger infant and toddler patients communication skills not fully developed testing and treatment are still possible through means like eye muscle movements, visual behavior, and dilation of the eyes. 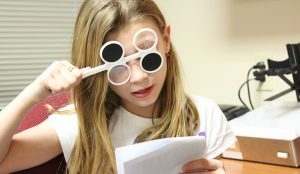 Vision problems can have a profound effect on how children learn and often parents don’t notice vision problems in children until after a child exhibits problems reading the board at school. Annual vision testing starting at 6months old is widely recommended to best diagnose and treat vision problems and eye diseases. If the pediatric optometry department sounds like a place for you check out the American Optometric Association’s Clinical Practice Guideline for Pediatric Eye and Vision Examination here to learn more about the scope and practices of working with this very special population. So there you have it a small beginners look to the specialization of pediatrics! Applying to Optometry School: OptomCAS 2016 is OPEN! 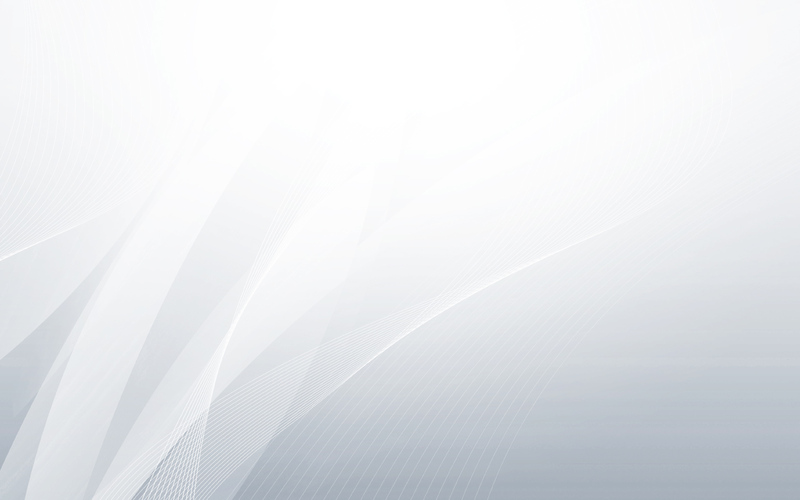 As of July 1st the 2015 – 2016 cycle of the OptomCAS is officially open! The time has come to put all your hard work and preparation to “paper” (really to the online application)! The Association of Schools and Colleges of Optometry (ASCO) uses the Optometry Centralized Application Service (OptomCAS) as the general web-based application to submit applications to the all optometry schools in the U.S. Keep in mind decision on admission comes completely from the schools and programs you are applying to and not from OptomCAS; they are only a service you submit your applications and transcripts through. specific optometry program deadlines that you are applying to. This means you must not only complete and submit the OptomCAS by those deadlines but also be sure to get in transcripts, letters of recommendation, and any secondary applications specific schools may require as well. First you’ll to create an account with OptomCAS here. You’ll use you’re the username and password you create to login, save, edit, and submit your application(s). Be sure to read all instructions carefully and to proofread everything you are submitting because this is surely not a task to take lightly! With all the expense and stress of applying to optometry school, save yourself some trouble and check out OAT Cracker for you OAT prep and stay tuned to the blog for more topics on the application process like Personal Statement Writing just to name one awesome example! The OptomCAS for 2016 is about to open and with it comes figuring out where you’ll want to attend optometry school! 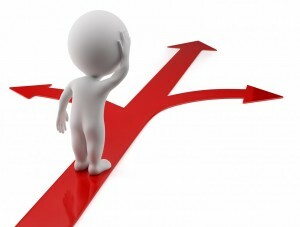 The deciding process can be exciting and fun but also a little nerving and stressful. During the application process you’ll really want to do your research and be efficient in picking where to apply because applying to a lot programs can get costly. Would you prefer a rural setting or a bustling city? Think about your time in undergrad, did that work for you or do you need a change of pace? A school visit is the wisest choice before finalizing your decision on location to get a real feel and glimpse into your future stay there. The importance of living in a cool city may take a back seat when keeping in mind the cost of living expense differences in locations too. When thinking about tuition cost there are several factors to consider such as private vs public school or in-state vs out of state tuition, etc. Take a look at ASCO’s Profile of the 2013 Optometry Entering Class here keeping in mind of available aide and scholarships each program may offer (diligent research needed). Be sure to take a look at program specifics like specializations and what kind of research opportunities are available to you. How important is class size to you? These all examples of things to look for when doing your homework on all the optometry schools you are considering! So research and think it over carefully because these are very important next four years for you! Preparing you for the Optometry Admission Test and beyond! Prepare for your upcoming Optometry Admission Test with OAT Cracker.